Sydney - Tests will return to Australia's Gold Coast next year as the Wallabies host Argentina, with Sydney and Brisbane the other Rugby Championship venues announced ON Monday. Michael Cheika's men will kick off their 2018 campaign against New Zealand in Sydney on August 18 before they face South Africa at the Suncorp Stadium in Brisbane on September 8.
International rugby will then return to the Gold Coast for the first time since 2014 when the Wallabies host Argentina to complete back-to-back Tests on Queensland soil on September 15. Australia wrapped up their northern hemisphere tour on Saturday with a 53-24 defeat to Scotland. They also lost to England, but beat Wales. 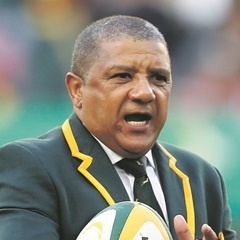 The Springboks will move from Brisbane to Wellington a week later when they face the All Blacks at the Westpac Stadium on September 15.